From the time that you’re a junior in high school, to the last day of your doctoral, you can keep writing for scholarships. 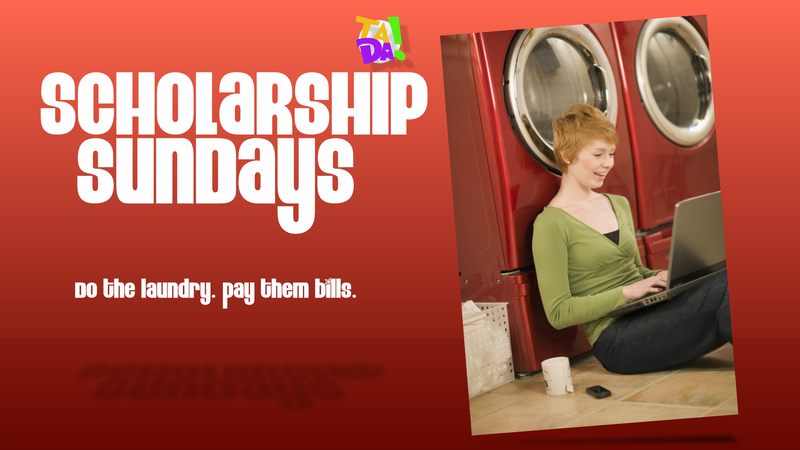 I liked to do “Scholarship Sundays.” Do your laundry. Write scholarship apps for cash. Remember to get an email address that you use for this purpose ONLY. Many of these websites or the companies offering scholarships will spam you to death. That way parents and students can also access the email address without any privacy intrusions as well, and everyone can spend a little time researching and writing, because a family effort to comb the system for opportunities usually produces more possibilities. Still, especially with the advent of wifi in school laundry facilities, laundry-time, when it’s not study time, should be set aside for writing for money to either retire small student loans to zero each year much faster, or to avoid having to have them in the first place. Remind – If your high school uses Remind, it usually posts scholarship opportunities on Remind. High SchoolGuidance – Your guidance office often recommends students for scholarships from local organizations. Be one of them. College Departments – Some post additional grant or scholarship opportunities on their web pages or in their offices. The process is YEAR-ROUND. Look to see when scholarship deadlines occur. Missed one? Mark it on your calendar for next year!